Patients face a long list of do’s and don’ts in the months after surgery that can help smooth their recovery. By the time scoliosis becomes severe enough to require surgery, reducing this potentially dangerous curvature of the spine is certainly the top goal. But patients face a long list of do’s and don’ts in the months after surgery that can help smooth their recovery, according to Praveen Kadimcherla, MD, an orthopedic spine surgeon at Atlantic Spine Center. DON’T bathe or shower until your doctor’s OK. Use sponge baths instead. DO aim to stop painkiller use by this time since they can become addictive if taken for longer periods. DON’T drive a car until your doctor’s OK, which is typically 6-8 weeks after surgery and only after narcotic painkillers are no longer being taken. 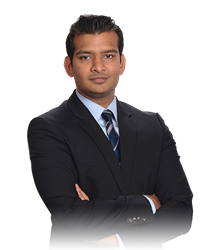 Praveen Kadimcherla, MD, is a board-certified orthopedic spine surgeon at Atlantic Spine Center.